Infiltration in Jammu and Kashmir is on the rise, with nearly 100 terrorists sneaking into the Valley this year from across the Line of Control taking routes, including those chosen by Pakistani raiders in 1947, to move towards south, which has emerged as the epicentre of militancy. According to inputs received from various sources in the counter infiltration grid, around 100 militants of the banned Lashkar-e-Tayiba and Jaish-e-Muhammad have infiltrated the Valley, using from higher reaches of Gulmarg and Boniyar in Baramulla to reach southern parts of the state via Yusmarg, the route taken by the tribal raiders from Pakistan to wrest control of Jammu and Kashmir. Of these nearly 20-25 have been killed in encounters with security forces at LoC. 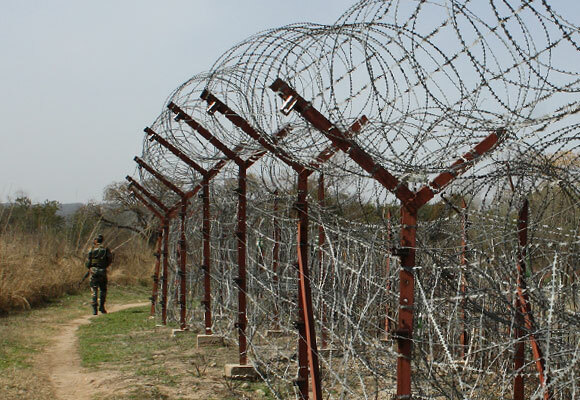 Till June 30 last year, 34 militants had infiltrated the Valley from across the LoC. There were several instances in June this year when militants crossed over into India from the higher reaches of Gulmarg and reached Baba Reshi where they dumped their arms and ammunition before moving towards south Kashmir in local vehicles or trekking down to Pulwama using the Yusmarg-Pakharpora route. The central security agencies have provided intelligence about the presence of nearly a dozen militants in Nichnai forests in higher reaches of Yusmarg in Central Kashmir. The Indian Army had frustrated attempts by the Pakistani raiders, which included some of its armed forces personnel, to take over Kashmir in 1947. There has been a lot of movement of people in the area due to a religious shrine in Pakharpora which has gained in popularity in the last couple of years, making it difficult for the security forces to quickly identify the militants. After it came to light that terrorists were using public roads instead of the usual mountainous path while moving towards south, security agencies have suggested barricading them. While the army has been maintaining a studied silence over the issue, sources said intelligence about infiltration of militants, who managed to escape notice at LoC, was picked up by the local police leading to various encounters across the state. The Gulmarg-Yusmarg route was used by LeT terrorists Naveed and Noman in August last year. These two were transported to Udhampur where they carried out an attack on a Border Security Force bus killing two personnel. Noman was killed in retaliatory fire and Naveed was arrested with the help of local people. Not much has been done to plug this route despite repeated warnings by the central intelligence agencies, state officials said. What is Sara Ali Khan doing in New York?